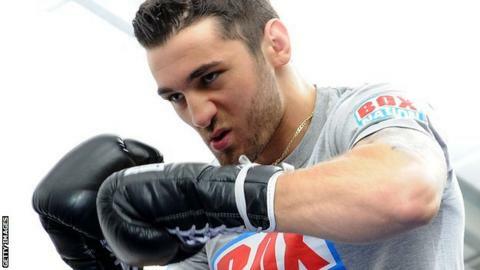 Nathan Cleverly's cruiserweight debut has been delayed until the new year after he sustained a back injury. The ex-WBO light-heavyweight champion was due to fight Daniel Ammann for the vacant Commonwealth cruiserweight title at London's Copper Box on Saturday. "It's a bitter blow as training had been going so well. I want to enter 2014 with a clean slate and get my career back on track," he said. The 26-year-old lost his world title to Russia's Sergey Kovalev in August. Cleverly, who has won 26 of his 27 fights as a professional, had hinted at retirement after the defeat before announcing a step up in weight to fight Australian Ammann.